Posted on July 17, 2018 . 13 Comments. According to an article in US News and World Reports “a 2015 study showed that 6 million students – a large majority of whom were undergraduates – enrolled in at least one online course in fall 2015.” And if MIT, Harvard University and many, many others are getting in on online education, it cannot be ignored. 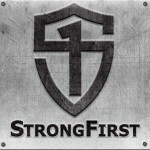 Our Mission within the StrongFirst School of Strength is to pursue, promote and practice the value of strength. We do this because we believe strength has a greater purpose. We know that strength is a master quality. To expand this Mission and expose more people to our School of Strength, StrongFirst is entering into the online education arena! This will allow us to reach a larger audience since not everyone has easy access to a live course or an SFG instructor. And as you will soon find out, kettlebells are perfectly well-suited for at home training. Whether the online kettlebell course represents a first exposure to StrongFirst or is a reference source following (or leading into) a live course, we are certain that our Essential Kettlebell Exercises course will expand our audience and allow us to promote our mission and principles. presentation next week, and I’ve been searching for just such information. … gives more information about the course and also includes a link to the course registration page, where the cost, running time and other details may be found. This is HUGE……..I look forward to this course and also hope that there will be ongoing and progressive modules to further one’s advancement and skill. Will there be a bodyweight version? We don’t have any definite plans to announce yet but we’re all excited to watch our first online course grow and, of course, other kinds of training may be offered in the future. Stay tuned! This is awesome! I hope this later evolves into the special events being online courses. Plan Strong, Strong Endurance and Second Wind onIine, I would definitely pay for that. StrongFirst is a quality source of information that I will always keep coming back to. Very much appreciated. Awesome!! Finally!! Is this equivalent to the one day kettlebell training? The online course is complimentary not equivalent. Nothing replaces live coaching and individualized instruction. 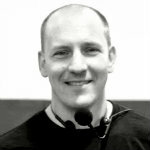 The online course offers a tremendous reference for those that are thinking about attending or have attended the live StrongFirst Kettlebell course.